The Mid-Season Reinforcements are arriving with force and introducing several changes to three Operators, new gadgets, new attachments, weapon balancing, and many bug fixes. You can expect these kinds of updates for future seasons as we try to implement changes we think will help improve the game, while incorporating feedback from the community. The Mid-Season Reinforcements arrive on Tuesday, September 13, 2016. Twitch is a good example of an Operator that is popular, has satisfactory pick and win ratios, yet her unique gadget, the Shock Drone, is quite underwhelming. Because of this, we have decided to change the utility of the Shock Drone quite drastically, in order to reinforce the uniqueness of her gameplay and the threat her Shock Drone (err… Drones). 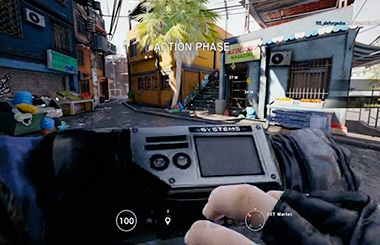 The most notable change to Twitch is that she will now deploy a fully functional Shock Drone in Preparation Phase, in place of a normal Drone. This is a very significant change to the Preparation Phase system. 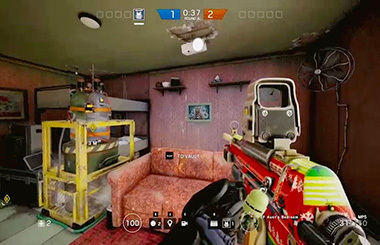 Once the match begins, Twitch’s two normal drones have now been replaced by a second Shock Drone. Deploying this second Shock Drone will not destroy the first one, if it survived the Prep Phase. 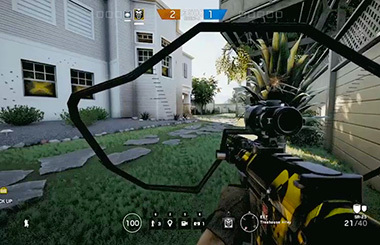 This means that she will be able to switch between the Prep Phase Shock Drone and the deployed Shock Drone by cycling through her observation tools, then activating it. • It now moves 30% faster (this puts it on par with normal Drone speeds). • It creates less sound when moving. • The red light on the model has been removed. • The range of the darts has been increased from 5m to 7m. 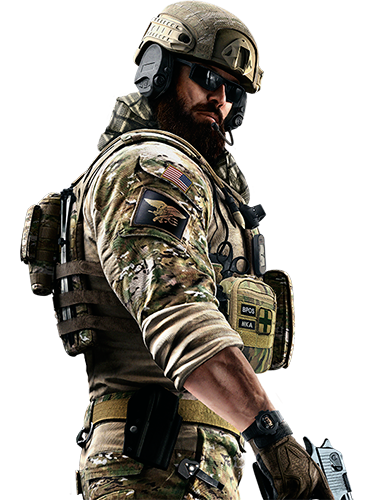 There are two things that we wanted to improve for Blackbeard. Gameplay wise, we’ve observed that the usage of his mounted shield is too passive – most players will just equip it at the beginning of the round, and keep it till the end or till their death. Balancing wise, his pick ratio and win ratio have clearly shown that he is very powerful. • Blackbeard now has 2 shields, and can cycle through them with a queue system by equipping / un-equipping. • The HP of the shields has been reduced, from 800HP to 150HP. • The Shields’ durability is displayed on the UI. Even though we’ve seen some great plays with it, most of the time Doc’s stim pistol felt too situational. 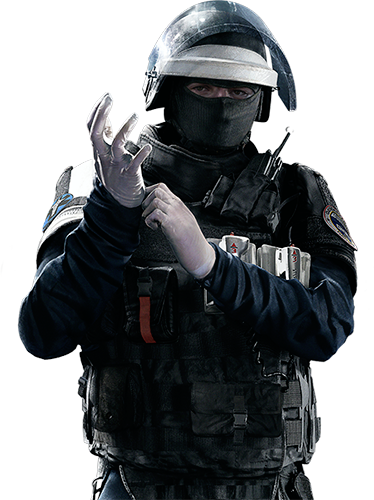 We want to give Doc a gadget that makes him more useful, in more varied contexts. Giving his darts the ability to heal teammates means he can have a much more versatile role in more strategic situations. In the same way that Doc can revive himself from DBNO, Doc will also be able to self-heal as well. Furthermore, he can now over-heal. Shooting a dart at a fully healed teammate or himself will provide a boost up to a max of 120 total health points for a limited time. The heal is 40 HP per dart, so even partially injured teammates can be over-healed. This over-heal is only temporary and will decrease 1 health point every 2 seconds back to 100 health points. We believe that this change will be a clear upgrade to his versatility and will make him a more interesting pick for the defense. 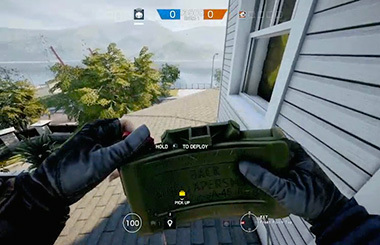 Some Attackers can now use the Claymore mine, a deployable gadget to cover their backs while progressing forward, flanking, or when in a vulnerable positon like sniping or droning. Plant the Claymore and once a Defender crosses one of its three laser rays, it will explode in a front-facing directional pattern. We have given Claymores to Attackers who mostly play support roles, or who could benefit from having a way to watch their back. • Thatcher loses Stun Grenades and gains a Claymore. • Twitch loses Stun Grenades and gains Claymore. • Glaz loses Breach Charges and gains Claymore. 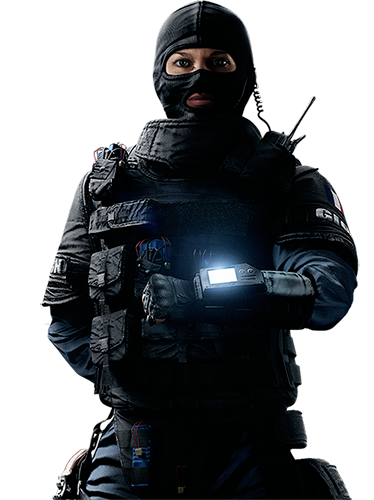 • Thermite loses Stun Grenades and Breach Charges, gains Smoke Grenades and Claymore. Note: since Thermite is probably the most support oriented attacker right now, we believe Smoke Grenades will fit better with this playstyle than Stun Grenades. Select Defenders now have access to the Impact Grenade, a grenade exploding on impact or after 1 second of throwing it. Perfect for close range firefights when things go south, and it can be used to open holes in the environment. We have distributed Impact Grenades with two things in mind: reducing the overall amount of Nitro Cells among Defenders, and adding more active options to Defenders who mostly used their unique ability during preparation phase. • Caveira loses Nitro Cell and gains Impact Grenades. • Castle loses Barbwires and gains Impact Grenades. • Smoke loses Nitro Cell and gains Impact Grenades. • Rook loses Barbwires and gains Impact Grenades. This attachment diminishes first shot recoil, putting an emphasis on precision. 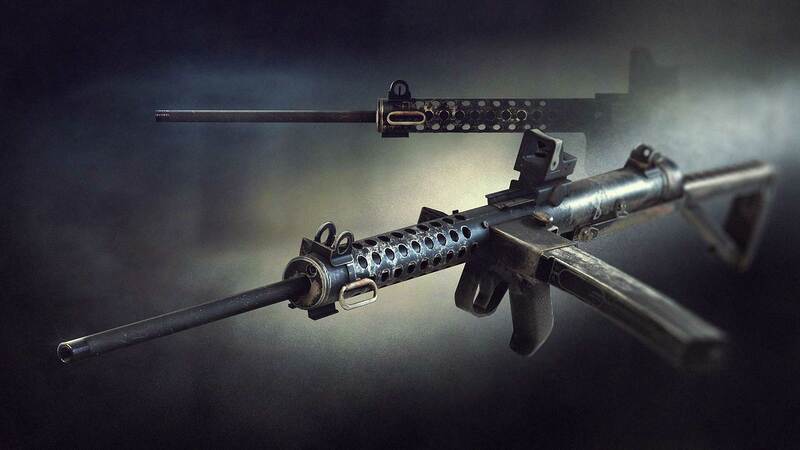 Weapons this can be applied to: G36C R4-C, MP7, SR-25, MK17, C8SFW, CAMRS, UMP45, MP5, P90, AK12, OTS-03, 552 COMMANDO, 416-C, 9x19VSN, MP5K, FMG-9, AR33, L85A2, 556xi, F2, 417, MPX. With this barrel attachment equipped, damage at long distance doesn’t decrease as much, in tradeoff for extra recoil. This means that there is less falloff damage, which will vary per weapon but will be around 10-20% damage increase at long ranges. Weapons this can be applied to: 416-C, beretta m12, C8-SFW, MAC-11, P90, Para-308, R4-C, 9mm C1, UMP45, Mk17 CQB. The combination of her strong shotgun and the amount of intel that she provides makes Valkyrie an incredibly strong pick – she’s a bit too close to being an absolute “must pick”. Finding the cameras on attack is doable, but costs a lot of time when the four cameras are well deployed. We think 3 Black Eye cameras will still make her a great pick, but might provide more room for other Defenders to shine. IQ & Montagne will now be able to deploy and unequip their gadgets faster. Pre-Patch 4.2: 1.5 seconds to deploy and unequip. After Patch 4.2: 1 second to deploy and unequip and they are allowed to fire their weapon at 0.7 seconds. For some of the Operators, there is often a clear better choice when it comes to weapon selection. With the balancing pass for 4.2 we want to bring more diversity when it comes to picking a weapon. The main problem with the 417’s recoil was to string shots one after the other while staying on target. We have made it so there is less increasing recoil when you are chaining shots. After Patch 4.2: 70 damage from 0m to 28m. The main problem we identified with the CAMRS was the damage it dealt. We want to bring it on par with the Twitch’s 417 and Blackbeard’s SR-21. Pre-Patch 4.2: 57 damage from 0m to 28m. After Patch 4.2: 72 damage from 0m to 28m. This LMG is getting its second buff since the launch of Rainbow Six: Siege. In the first change, we made the recoil easier to control. Since it is still less interesting than the AK-12 or the Shield, we are giving the gun a damage upgrade to its close and long range encounters. Pre-Patch 4.2: 45 damage from 0m to 15m, 32 damage from 15m to 38m. After Patch 4.2: 52 damage from 0m to 8m, 45 damage from 8m to 15m, 36 damage from 15m to 38m. The big question with Ash, G36C or R4-C? For most players, the choice seemed pretty obvious. The R4-C deals more damage and the difference in recoil isn’t substantial enough to pick the G36C. We have modified the G36C’s recoil so it is much more appealing compared to the R4-C. It still deals less damage, but it should now give you a more interesting choice between the two. The recoil changes are done in 3 different ways. The gun will rise at a slower rate. We are decreasing the rate by 25% (K&M), 13% (Gamepad). We are lowering the maximum recoil limit. In other words, the recoil will not be as important upon reaching its maximum. 12% (K&M), 6% (Gamepad). The first shot multiplier has been lowered. That means that the first shot, when shooting in any fire mode will make the gun jump less. 15% (K&M) 12.5% (Gamepad). The way we tweaked the recoil when we nerfed the P90 was maybe a little much. The MP5 became an instant better choice. With these changes to recoil, we’d like to offer a better choice between the two. The MP5 will still be better at landing those headshots as the recoil is easier to control, but now the P90 should be able to dish out lethal damage more quickly if you aim for the body. The gun will rise at slower rate. -20% (K&M) -12.5% (Gamepad). It will reach its maximum recoil slower than before -35% (K&M/Gamepad). The first shot multiplier has been lowered significantly. -25% (K&M), -33% (Gamepad). The maximum recoil value is higher. This means that if you fire automatically for a long time, once you reach the maximum recoil, it will be bigger than before. +16% (K&M), 12% (Gamepad). The diamond shape was modified so it should pull less drastically to the left. A lot of people have been asking for a buff to Mute’s SMG. While our gameplay stats show that he’s in a fairly decent place already, we’ve decided to slightly buff it in two ways: a small damage buff and a small recoil buff. Pre-Patch 4.2: 27 damage from 0m to 16m. After Patch 4.2: 31 damage from 0m to 16m. 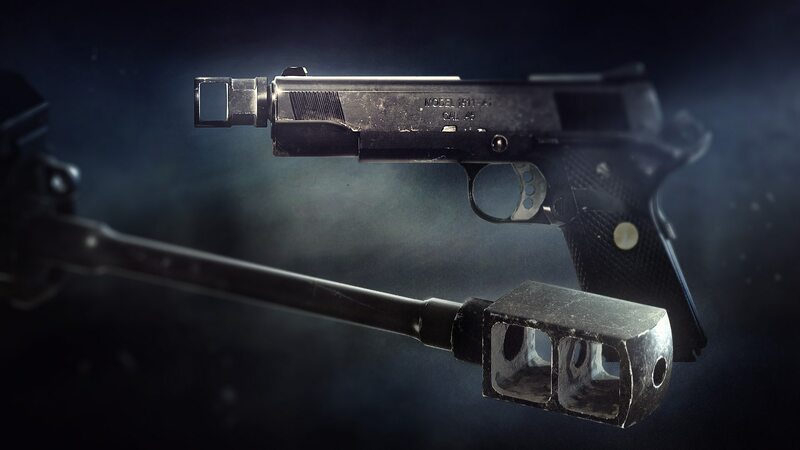 The diamond (or general recoil shape) has been modified so it should have a little less horizontal recoil variation on full automatic fire, which should help you land headshots easier. We are slightly lowering the maximum recoil limit. In other words, the recoil will not be as important upon reaching its maximum. -10%. We felt like the recoil while having the gun shield on was a little too easy to control. We are making it a little tougher to control when holding down full automatic fire. It's used to reduce the first shot multiplier. It will now make it slightly more important.+10% (K&M, Gamepad). The speed at which the gun attained its maximum recoil was higher by 50% when bearing the gun shield. It’s now set at 100%. It will reach its maximum recoil twice as fast compared to when the gun shield is not equipped. Once again, we want the player to have a decision to make when it comes to weapon selection. The shotgun felt like a better option in many cases, so we are buffing the SMG’s damage for close and long range encounters. Pre-Patch 4.2: 40 damage from 0m to 16m, 16m+ 24 damage. After Patch 4.2: 45 damage from 0m to 16m, 16m+ 27 damage. We have reduced the limit of team kills allowed in a match before getting auto-kicked from a match. Killing the Hostage is now considered to be multiple team kills. We have reduced the limit of team kills allowed in the early phase of the match before getting auto-kicked from a match. Early team kills add up throughout the whole match, and will not reset in-between rounds. In a future update, we are going to be implementing an anti-bullying system. This will make it so that if a player team kills the same person multiple times, then they will be removed from the match. We are aware that many players have been experiencing hit registration issues since the start of Season 3, and patch 4.1. This is a challenging issue to tackle as there appear to be several factors that could be influencing issues with hit registration and replication (what each player sees/experiences) based on the reports from players. One of these issues related to high ping has been identified and fixed in 4.2. Players will sometimes connect to the wrong datacenter, which will result in high ping. This issue often results in a bad gaming experience and may sometimes be related to Hit Registration issues. We have a dedicated team assigned to work on this issue and they are making it a priority. FIXED – Various animation issues can occur with weapons when starting the Drone pick-up animation and then canceling. FIXED – On PC, the Walk\Run stances can be switched by pressing TAB while holding ALT. FIXED – Light coming from outside the building will hinder the player looking outside from inside during gameplay. FIXED – When a player spawns in a collision spot or stops walking in a collision spot, their aim will be reset to the center of the screen. 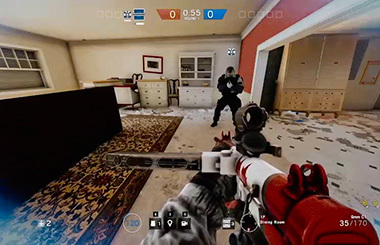 FIXED – It is possible to shoot through a small gap between Reinforced Walls when they are deployed adjacent to each other, but on opposite sides of the wall. FIXED – Aim reverts to an initial position after the user tries to aim at another target. FIXED – Blackbeard's shield has abnormal animation behaviour when put in DBNO state by Frost trap. FIXED – Interrupting Caveira's interogation on a DBNO player, and then reviving that player will result in camera issues for that player. FIXED – Jager's trophy systems will all shoot at the same grenade if it comes into close proximity of them. FIXED – Shooting at a Reinforced Wall that has reinforced a partially destroyed wall while there is an Exothermic Charge deployed on it will destroy the charge. FIXED – A Defender can clip through an attacker's shield and melee/shoot/kill the Attacker. FIXED – There is a LOD issue present in 1F Lobby. FIXED – The flag hung above the northern wall of the 1F Bar remains rigid after falling. FIXED – LOD issue with window frame at EXT Football Pitch. FIXED – There is a LOD issue with the red wall at 2F Aunt's Hall. FIXED – The base along the breachable wall section at 2F Football Apt does not destroy when breached. FIXED – There is a lightning issue present at EXT Back Alley. FIXED – The surveillance camera from the Coast Guard Hallway is destroyed when reinforcing a nearby wall. FIXED – It is possible to vault inside the White Vans with a Deployable Shield. FIXED – Arms will clip through the Operator's body when zooming with a pistol equipped. FIXED – Various issues with blood graphics occur in the Death Cam replay. FIXED – The Skull Rain and Ceifador headgear will display Capitao's name on Caveira's uniform. FIXED – A banned player will sometimes have access to online multiplayer. FIXED – There is no shield displayed when previewing a Charm for a Shield Operator. FIXED – The Laser Sight attachment shows the laser in first person view. FIXED – Diamond Ranked players are not receiving the Diamond Charm for Season 2 Ranked. FIXED – The game sometimes freezes when a Bomber detonates. FIXED – AI will remain stuck when coming for the hostage. FIXED – The "Defend the Defuser" indicator is misaligned with the indicator circle. FIXED – The bomb timer and objective marker do not disappear from the HUD during the death replay. FIXED – There is a display issue that shows unavailable challenges as available. FIXED – When a player is banned from ranked, there is no text shown on top of the red line on the main menu screen. FIXED – The hours and minutes are swapped when looking at the Time Played stat in the Details & Statistics page of an operator in the Album. FIXED – Mono-chrome universal weapon skins have a thin white border. FIXED – The Operator's hand is offset from the gun.